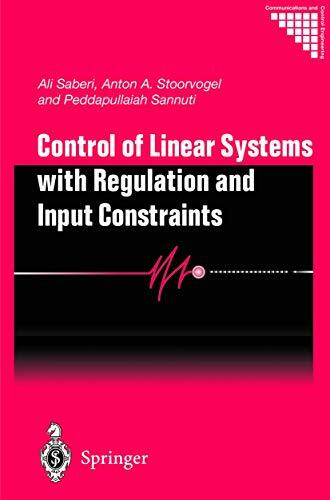 [PDF] Control of Linear Systems with Regulation and Input Constraints (Communications and Control Engineering) | Free eBooks Download - EBOOKEE! Description: This monograph couples output regulation with several recent developments in modern control theory. It re-examines output regulation theory to achieve a design of controllers that take into account the physical limiting characteristics of actuators such as saturation. The book provides a solution to the basic problem of finding a controller that achieves internal stabilization, results in a desired performance norm, and renders asymptotic tracking of a reference signal even in the presence of persistent disturbances. No comments for "[PDF] Control of Linear Systems with Regulation and Input Constraints (Communications and Control Engineering)".